Hi, Kristi here from SweetKM. Today I’m thinking about getting the most out of a sewing pattern. I love a simple, well sized pattern because it offers the most opportunities to put your own spin on the finished garment. One of the go-to patterns for my daughter is a simple knit t-shirt (I used the Oliver + S School Bus Tee) that includes 3 sleeve lengths. 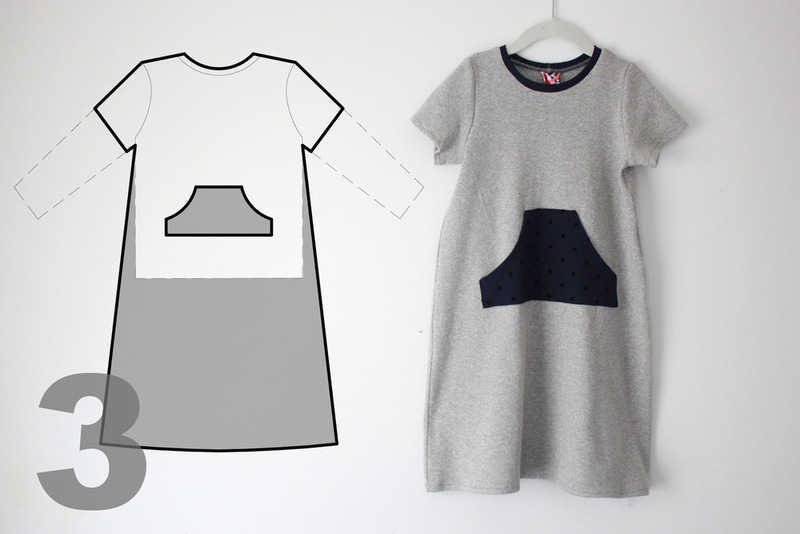 Today, I’m showing that pattern simply modified to make 3 wardrobe staples: a button front cardigan, a dress with gathered skirt and ¾ length sleeves, and an a-line dress with short sleeves and a kangaroo pocket. For the cardigan I cut a few inches off of the length of the front, back, and sleeves, then added knit ribbed cuffs to the waist and wrists. I cut the front piece in half along the fold line, and added a button band to each cut edge. For the gathered skirt dress I shortened the body of the t-shirt to just under the arm opening. I shortened the sleeve by a few inches to make them ¾ length. 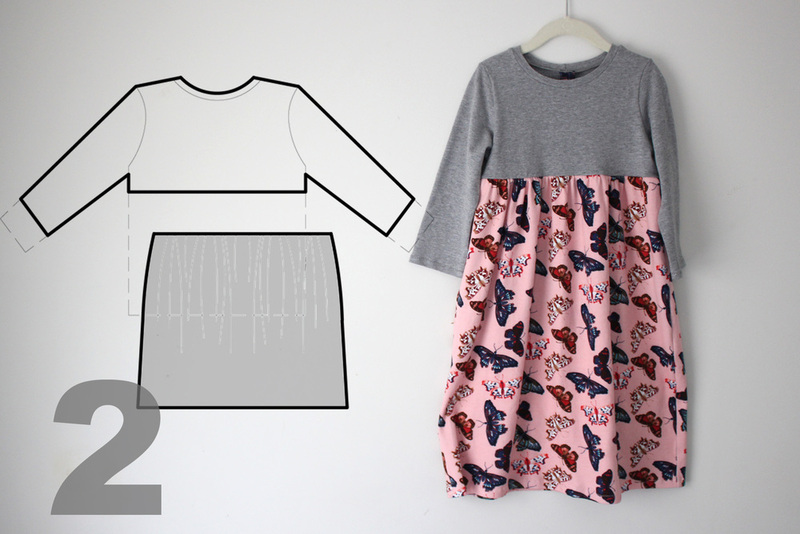 The skirt is two rectangles joined at the side seams, gathered at the top, and sewn to the bottom of the t-shirt bodice. The a-line dress is the short sleeve t-shirt made longer, and wider at the bottom hem. The kangaroo pocket is drafted based on the size of my daughter’s hands.